The candidate should independently handle the entire recruitment process right from understanding the requirement, sourcing, screening, target hunting, and initial interviewing to joining. Expert in MS Office, especially in Excel and PowerPoint. Should be a good team player and takes ownership. · Excellent understating of IT Skills, Technologies and Sales. · Sourcing and searching on job portals and social sites. · Timely submission of resumes as per the position budget and negotiating & finalizing salary/HR accordingly. · Internal Client Management – Strategize, plan recruitment activity along with client and implement it in order to stay synched with client groups and understand the client process and style of working to increase hit ratio. · Provide an efficient and high-touch experience for every candidate from sourcing to joining to increase brand value of the organization. · Identifying and processing the right candidate towards closure to achieve a positive conversion. · Should maintain and update all MIS related to recruitment. · Manage, monitor and improve hiring ratios like “Time to Submit”, “Submission to joining”, etc. · Weekly review with TL and/or manager on his/her performance. Ensure recruitment ‘Service Level Agreements’ (SLAs) are met as mutually agreed with TL/Manager and other key stakeholders. Specialties: HCI (Human Computer Interfacing), Interaction Design, Information Architecture, Web/Tablet/Mobile Application Design, Experience Strategy, Requirements Gathering, Brand Idealization, Conceptual Modeling, Prototyping, Project Scoping, Emerging Technologies, Ethnography, Card Sorting, E commerce, Email, Social Design, Interviewing, Usability testing. Deliverable: UCD (User Centric Design), Wire frames, Sitemaps, User & Process Flows, Conceptual Models, Storyboards, Heuristic Evaluations, User Personas & Scenarios, UX Competitive/Comparative Analyses, Primary/Secondary Market Research, Task Analyses, Functional Specifications & Prototypes, Visual Designs, GUI Guideline Development. Applications: Sketch, Adobe Creative Suite (Photoshop, Illustrator, In-design, Flash), Balsamiq, OmniGraffle, Pencil, Invision App, Axure RP, Adobe Acrobat, Microsoft Office (Word, Excel, PowerPoint). 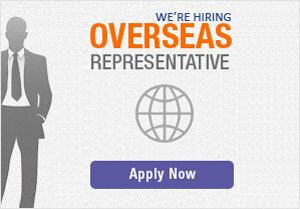 Talented UI Developer for Web with an agile ability to perform in any professional environment. Web designing, Photoshop, Illustrator, Html, Html5, CSS2, CSS3, Less, Bootstrap, Word press, Angular And React. HTML for Angular and React. and be able to translate high-level requirements into interaction flows and artifacts, and transform them into beautiful, intuitive, and functional user interfaces Design. We are looking for the Drupal Developers must have good communication skills to communicate with the clients and in-house cross-department team members. Candidates who believe in themselves, want to do hard work to achieve heights, have can do attitude and highly optimistic are most welcome. Developed & Maintained at least 4 -5 websites, out of which 1-2 are large Drupal based websites. We are looking for a Node.JS Resource with experience working in fast-paced environment. A talented software development professional with a deep technical background and experience building excellent user focused products and who will drive forward innovation to deliver cutting edge application solutions. Architect and implement system and APIs. Research and solving complex problems to invent new projects. Integrate APIs with CRM, ERP system, etc. 4+ years as a proven relevant development experience. We are hiring Project Leads for Microsoft Technology. This candidate will be responsible from project requirement analyzing, project planning and project execution and client interaction as and when required. In nutshell Project Lead will be responsible for delivering the project. - At least 3 to 5 years intensive programming experience on . We are hiring Project Leads for Microsoft Technology. This candidate will be responsible from project requirement analyzing, project planning and project execution and client interaction as and when required. In nutshell Project Lead will be responsible for delivering the project. Good hands on creating Stored Procedure, Trigger etc. - Having excellent communication skills. Looking for a dynamic professional with sound experience as a leader in areas of Design, Content, UI/UX, Digital Marketing & Advertising, Team & Account Management. Have exposure working in Agile and strategic team building, fostering team growth and incorporating emerging trends that contribute to stellar creative solutions. Proven mentoring, supervisory and team-building skills that should cascade throughout the team and organization. Presentation skills and communication abilities at all levels - both internal and at client organizations are must. Managing a team of designers and UI developers by reviewing their work and providing them better solutions before deliver to the client. Pre-sales assistance on new projects estimation for UI/UX of website and mobile apps. Involving in client calls / meetings with queries / agenda to understand requirements. Provide Training to new users/Joiniess with the process. Assigning task to resources and quality analysis. Sharing latest web and traditional design standards with the designers. Experience in creative web / mobile app designs. Manage collaboration with designers and Product Managers to define UX goals of the assigned area. Must be a self-starter & be able to work with minimum supervision Exp. In modules/extensions development/customization. Exposure on Magento(1 & 2). We are hiring Asp.net Software Developer. Candidate will be responsible for writing clean and optimized code for the assigned modules / projects. Candidate must have fundamental understanding of Software Development Life Cycle and agile, test-driven development practices. - Knowledge of TDD (Test Driven Development) , IoC Pattern, Microsoft Unity will be preferred. - Best practice driven development and knowledge of various architectural patterns. Flexsin is looking for the Senior PHP programmers / Developers, who are excellent at coding, database design, analytical approach and wish to be promoted now as Team Lead. The candidate must have the ability to deliver the project alone or with the help of junior programmers. The candidates must have good communication skills to communicate with the clients and in-house cross-department team members. Must be self-driven and highly organized. Define project planning and execution and on time delivery. Interaction with cross functional team. Familiarity with Agile project Methodologies. Software Developer having solid experience with native features and capabilities for SharePoint 2013/2016 and SharePoint Online (Office 365). Experience in complete SharePoint Application Development life-cycle. Should know the overall strategy for SharePoint topology and permissions. Understand best practices of metadata, permission and general site architecture. Custom business forms using SharePoint 2013 InfoPath, .NET, or Visual Studio. Custom or OOTB workflows using SharePoint Designer, or Visual Studio. Custom solutions that enable SharePoint to connect to other systems and/or data sources using Business Connectivity Services. Hands on experience with the following: Master Pages, Layouts, Web Parts, OTB Features, InfoPath, SharePoint Designer, Web Forms, Content Types and External Content Type. Proven development ability in Web technologies, jQuery, HTML5, CSS, AJAX, Web API. Experienced in GUI Integration and Layout design. Good Knowledge of Central Admin. SQL, Stored Procedure, SharePoint Database knowledge. Experience in farm management, integration, custom UX development. Knowledge of Responsive Design and its integration with SharePoint. Experience in workflow add-ons like Nintex, AgilePoint is a plus. Experience in ASP.net and MVC will be and added advantage. SharePoint administration experience is a plus. • Knowledge of TDD (Test Driven Development), IoC Pattern, Microsoft Unity will be preferred. • Best practice driven development and knowledge of various architectural patterns. As Project Lead you will be responsible from requirement gathering, Conceptualization, Project Planning and Project Execution and client interaction as and when required. In nutshell Project Lead will be responsible for delivering. • Having excellent communication skills. • Good hands on creating Stored Procedure, Trigger etc. • Knowledge of TDD (Test Driven Development) , IoC Pattern, Microsoft Unity will be preferred. We are looking for an experienced Conversational UI Engineer who can help us define, design and build AI powered Chatbots that automatically facilitate a host of different actions and interactions between millions of customers and our different systems. Candidate will be doing hands-on Research and Development for building NLP-based products in the insurance/service domain. Products may span Deep/Shallow Question Answering, Search, ChatBots to enable various tasks, client assistance based on inferred client needs, Virtual Assistant to Advisors etc. • Hands-on work involves building components for concept/relation extraction, intent identification, text classification, meaning representation at different levels (word, sentence, paragraph), answer passage retrieval/ranking, dialog/discourse management and others required to deliver end-to-end systems for these products. • Work closely with business operations to convert requirements into system solutions and collaborate with development teams to ensure delivery of highly scalable and available systems. • Develop system flow diagrams to automate a business function and identify impacted systems; metrics to depict the cost benefit analysis of the solutions developed. • You have a minimum of 2 years of experience building chatbot solutions in high scale production environments, producing seamless and high-quality interactions. • You are expert in some of the key AI/Chatbot platforms, such as DialogFlow/Api.ai, Microsoft Bot Framework and Azure Cognitive Services, Amazon Lex, IBM Watson, Wit.ai etc. • You successfully deployed chatbots on common messaging and chat services like Facebook Messenger, WeChat, WhatsApp, Skype, Line, etc. • You have a strong understanding of the NLP space (natural language understanding, sentiment analysis, personality insight...), and you have leveraged several existing services and libraries (integration, configuration, training, continuous learning). • You are well versed to voiced based processing (text to speech, speech to text) and if you already delivered voice apps built on top of the Amazon Alexa or Google Home then it’s a plus. • Experienced professional doing research and building components for NLP-based products. • Experience with building Statistical and/or Deep Learning models in one or more of these areas: Topic Detection and modeling, Question Answering, Information Retrieval, text classification, sentence paraphrasing, Reading Comprehension systems etc. • Experience in analyzing real agents Chat conversation with agent to train the Chatbot. • Knowledge and hands-on experience on implementation of Chatbot for large-scale implementation. • Bachelor's / master's degree in computer science or statistics or related quantitative field. Hiring Business Development Managers experienced with UpWork, Guru.com and other freelance portal sales for mobile and web application development projects from overseas clients i.e. the USA, UK, Australia & Middle East. Strong technical & negotiation skills. Must have 3-7 years of experience in Web Development & Mobile Apps project acquisition & closing. Must have sound technical knowledge of advanced Web and Mobile technologies trending today. Quality project selection and bidding on UpWork & Guru etc. Lead generation through Linkedin, database i.e. Zoominfo, Data.com and other social networks would be added value. Strong in logic / flow / technology and cost negotiation. Self motivated to meet sales target regularly. Proven new business development 'hunting' experience with demonstrated consistency. Have already closed Web & Mobile Apps Development projects. Professional email, documents, presentation writing skills. American / British accent is MUST for efficient communication with International Clients. Strong managerial skills with sound technical knowledge. Accountable for resources, projects delivery, revenue, expansion and client relationship. Good experience in estimation, planning, allocation, tracking, delivery with a minimum 50 team members. Experience in planning, execution and implementation of high quality Open source & Mobile application projects for international clients with a big team. Strong managerial skills with sound technical knowledge. Accountable for resources, projects delivery, revenue, expansion and client relationship. Good experience in estimation, planning, allocation, tracking, delivery. Knowledge of OOP concepts, Core JAVA, REST, SOAP, Web Services, Good analytical, communication & problem-solving skills and Exp. in Cross-Platform App (Phone Gap, Titanium, Xamarian) added advantage. Exp. in Core data, GPS Services, MapKit, Address Book, Push notification, audio/video streaming, etc. Strong communication/analytical skills with thorough understanding for interpretation of client need to translate them into application. Desired Candidate Profile Expertise in ROR programming, Plugins, Custom Coding, Mongodb. Minimum have delivered 3-4 projects individually in ROR. Excellent OOPs concepts and database skills. Expertise in ROR programming, Plugins, Custom Coding, Mongodb. Minimum have delivered 3-4 projects individually in ROR. Excellent OOPs concepts and database skills.